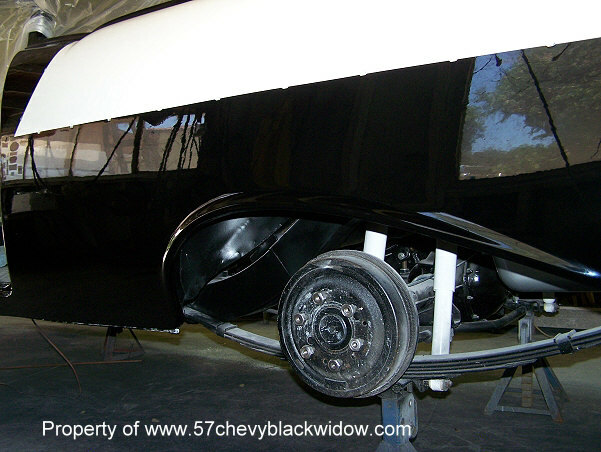 Before "Old Guy Scott" finishes the body he covers the roof with painter's plastic, photo#401. 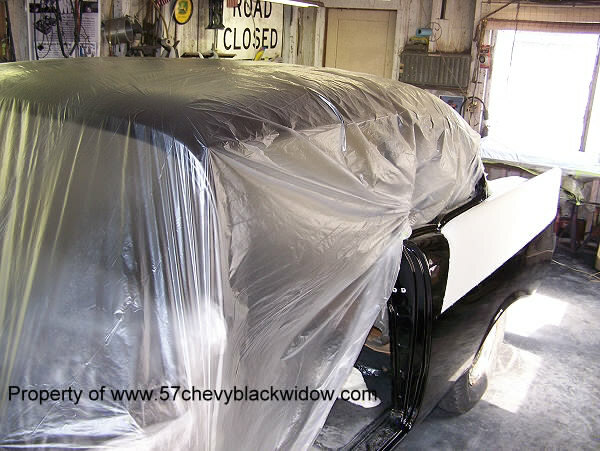 In photo #402 you will see the body being wet sanded with #2000 grit paper. 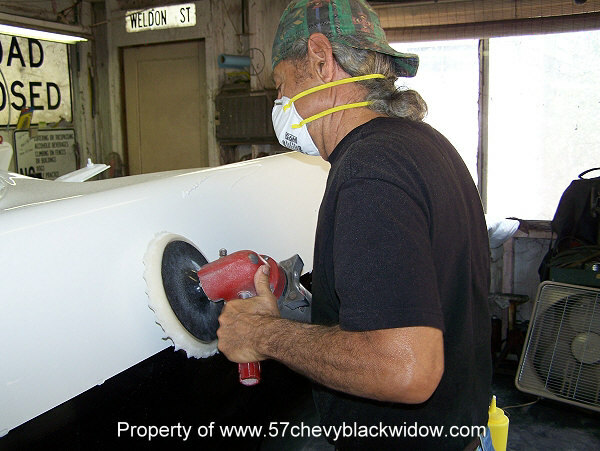 Photo #403 shows the mild cutter being used and photo #404 is the polishing pad glaze. "Old Guy Scott" left no swirl marks in either of these two buffing steps, this is where experience counts. Photo #406 and 407 show the perfect results of a period correct paint job.